I have told you in previous post about how it all began. This is how it continued. The last few summers, my family and I have spent a week in the countryside in Austria, hiking and visiting family. Up until then, we had been going by air, but for climate reasons we decided to take the train. My first thought – and I know those of you who are as profoundly nerdy as I am will recognise this – was what craft I would bring on the journey. When flying, I had only brought a nalbinding project. No security check can see any harm in a blunt wooden needle. But 24 hours on trains and stations! The crafting opportunities are almost endless! I had seen Fleegle’s beautiful video where she spins supported, and I decided that’s what I wanted to do. This was in the fall, so there was plenty of time to learn. I bought a spindle from Maine fiber tools and started practising. I usually sat in bed at night just before going to sleep. I badly wanted to learn to master the continuous supported spinning I had seen on the video. And voilá, in February I got it. And I had entered the magical world of supported spinning. My first supported spindle, wrapped in sweet alpaca. But I wouldn’t settle for just knowing how to. I wanted to explore supported spindles, see what was out there and what I liked. So I posted a question on Ravelry. I wrote about my upcoming journey and that I was looking for spindles that would suit my needs. I got some answers, but none that I really could do anything with. Someone told me to go to a fiber festival and try some of the spindle makers there. Well, there may be fiber festivals and supported spindle makers in every bush in the U.S. but there aren’t in Sweden. Then I got a personal message. It was from S in the U.S. She said she was willing to send me a few spindles of different kinds. Truth be told, I was a little suspicious at first. I mean, who would just send expensive spindles across the pond to a stranger? But she did. She told me to look upon it as a random act of kindness, and pay it forward. The package arrived, and when I opened the beautifully wrapped content, I found no less than eight (8) supported spindles, and over 100 g of BFL/silk fiber. That is a true act of kindness. I started thinking about how to pay it forward. I wanted other people to be able to try out different kinds of supported spindles and find one that suited them, just as I had wanted. So, I started the travelling spindle library. I kept some of the spindles for myself and added some of my own and some fiber and sent the package to a spinner I didn’t know but who was active on the Swedish spinning Facebook page. The instructions for the travelling spindle library were simple: Try the spindles for as long as you like. Keep the ones you like, add some if you want to and send the parcel to another spinner. And as far as I know, the travelling spindle library is still travelling around in Sweden, looking for new spindle librarians. What about the train ride? Well, we did go to Austria by train. And I did spin. It was almost a spiritual feeling when I took out the spindle from my backpack and started spinning in my seat. This was the moment I had been preparing for since november! My son filmed the moment, somewhere between Copenhagen and Hamburg. A Neal Brand spindle from the package (see picture above), and a lap bowl from Kerryspindles. BFL/silk fiber from Vinterverkstan. This was my first supported spinning video, and there have been many since. These, in turn, have led to inquiries about teaching support spinning classes, and so, I am apparently a support spinning teacher. And on the classes, I start by telling the students this story. I have been knitting since forever. There is actually a picture of me knitting a sweater in my aunt’s summerhouse garden in Austria. I was twelve. After that, I have been knitting in periods. The latest period has lasted over 15 years so far. In 2011 I was talking about knitting with my friend Anna. She told me that most of the wool in Sweden is wasted because no one wants it or knows how to take care of it. And I couldn’t have that. I found a weekly class at Överjärva gård in Stockholm and Anna and I started to learn how to spin on a drop spindle. A “beginner” spindle, weighing about 90 g and with a shaft not very unlike a broom handle. I wasn’t very good at it, Anna quickly got a nice and even thread but mine was mostly involuntarily thick-and-thin. But I practised. After a few weeks I asked if I could try a spinning wheel. I could, and I really enjoyed it. After another few weeks, I dived into heaps of bunched-up Polish weekly magazine pages on the living room floor and delivered my very first spinning wheel, a Kromski Symphony. And we’ve the best of friends ever since. 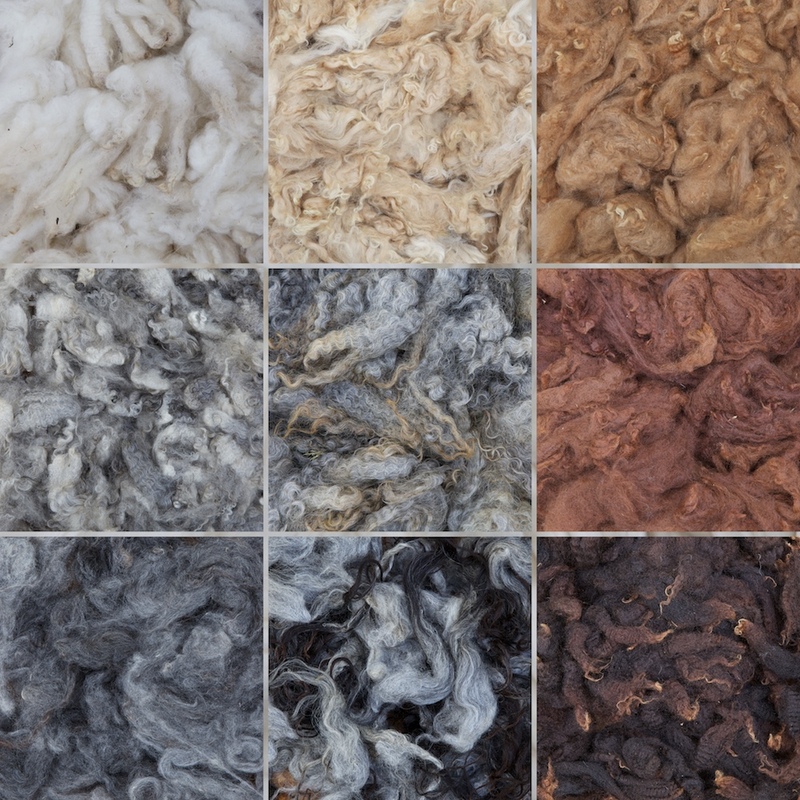 A few years later, I started visioning a film featuring all the steps from fleece to sweater. While planning the film project, I started thinking about drop spindling again. It would look so good on camera. So I bought a few drop spindles and started practising again, and this time I really enjoyed it. And a video was eventually published, Slow fashion – from sheep to sweater (Swedish title Slow Fashion – från får till tröja). If you have made it this far and found my blog you may also have seen one or two videos on my youtube channel. On this blog I will write mostly about spinning, fiber and my videos.